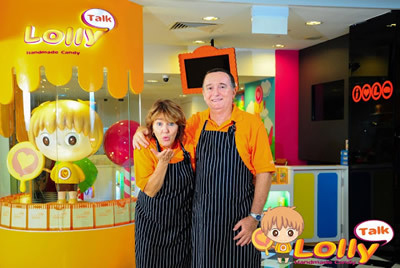 Photos of the Aussie Masters that trained the founders of LollyTalk. 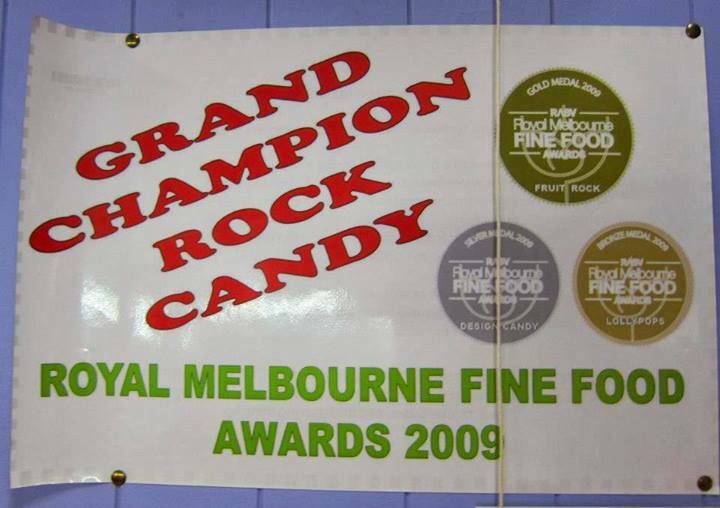 Featuring our Aussie Candy Masters Ross and Judy who won the title Grand Champion Rock Candy and also multiple awards at the 2009 Royal Melbourne Fine Food Awards, Australia’s premium fine food event that is held annually to give recognition to outstanding producers in the Australian fine food industry, including all its major candy and dessert makers. LollyTalk’s grand opening of our Singapore First Flagship Retail outlet on Australia Day, 26th January 2013 at 68 Orchard Road, Plaza Singapura B2-20!